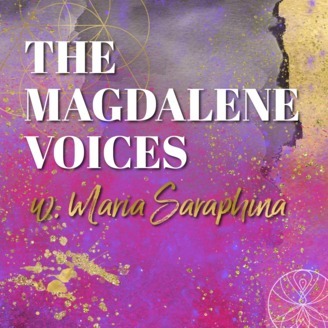 The Magdalene Voices is giving voice to those silenced for centuries through Sacred Conversations with Beautiful, Illuminating Souls. The energy of the divine feminine is sweeping across the globe and uniting in Sacred Union with her divine masculine counterpart she is paving another way than the dark path of shadow human beings have been following for decades and centuries. I call it the Magdalene Rising. Millions of souls are waking up in darkness remembering who they truly are. The memory may be distant initially, but as you do the work, to clear out the muck, just as it would if you were cleaning a window, the memory gets clearer, until you completely embody your divine nature. In both being and doing. Realising that there is another way than the one the shadow aspects of ourselves that we have been following for decades and centuries. A way that does not serve the whole. A way out of darkness and into the light. A Way of Love and unity. Begun more than 2000 years ago by the ancient masters incarnated into Yeshua and Mary Magdalene, it’s effects are truly kicking in now and we are blessed to be living in these times. Together these beautiful souls two created a shift to elevate the consciousness of human beings and set us on our path of awakening and ascension. It is calling for men and women alike to awaken to their inherent divine nature as a part of the whole, the totality, the all. That which some call God. 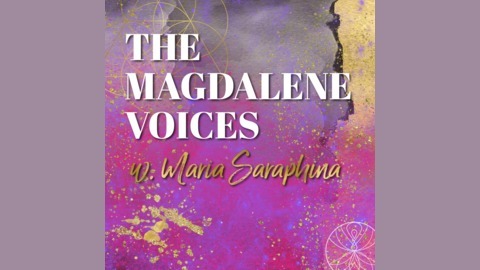 The purpose of The Magdalene Voices are: *To give voice to the Divine Feminine and Divine Masculine voices of our time. *To support the re-writing of the stories surrounding Mary Magdalene and her part and path with Yeshua. *To support you in creating a personal relationship with the Source we all belong to. That which some, and I, call God. May this serve the Highest for All. Mariaestela - Are You A Magdalene?